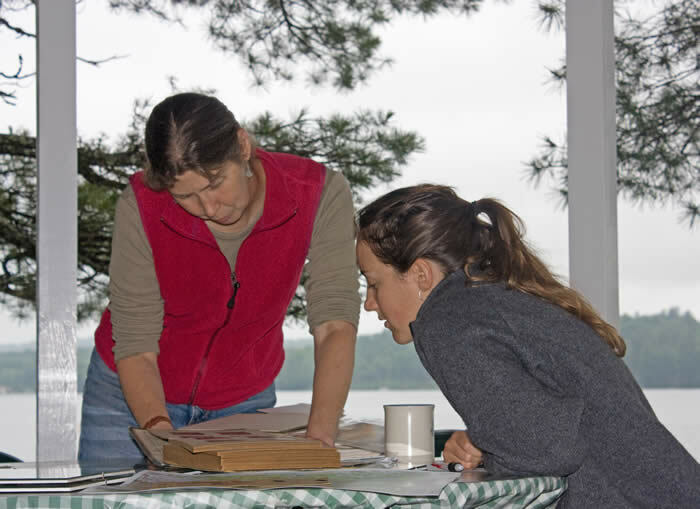 To leave the world a better place, to share one's talents and abilities, to meet others with common goals -- these are the reasons so many members volunteer to support the Kennebec Land Trust. The Trust was created and its work is undertaken by volunteers. That volunteer spirit continues to grow, helping to enhance and strengthen our land conservation programs. We seek your enthusiasm, ideas and leadership because volunteer service is so vital to our conservation efforts. Your contribution of time is important, whether you volunteer for one hour, one day or on a more regular basis. Maintenance of KLT Properties: KLT maintains over 40 miles of hiking trails! Please contact us if you would like to help us with our trail system. Stewardship: Our protected properties require ongoing monitoring, so if you enjoy the outdoors, like to walk and are skilled with a map and compass, please contact us about our stewardship program. Membership: Help us with membership recruitment to ensure the financial and other support necessary to our work. Special Events: member receptions, annual meetings and field trips are a great way to use your organizational skills and/or culinary talents.